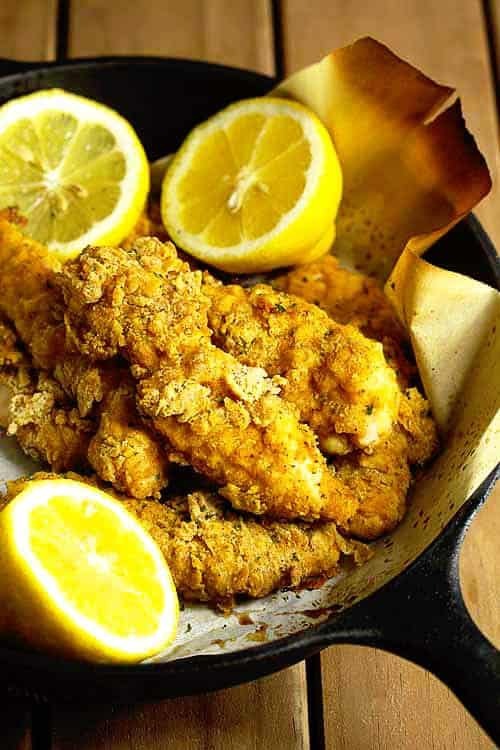 Oven Fried Chicken Tenders – crunchy, crispy and golden brown these oven fried chicken tenders are the best oven fried chicken because they taste just like fried chicken without all the extra fat!! Oven fried chicken tenders aren’t really up my alley. In my family, fried chicken is a staple. It is a tradition that we don’t take lightly (literally and figuratively). There is a right way to do it and a wrong way. From an early age, I was indoctrinated into the proper way in which a bird is fried. So, needless to say, oven fried chicken is a new thing for my family. Coming from a Southern family, learning how to fry chicken around the same time I learned how to ride a bike is not only considered normal but proper. There is simply nothing better than the perfectly seasoned golden exterior hiding the juicy tender inside and hearing the crunch in every single bite. When I fry chicken, I am serving love, and frying chicken tenders brings out the kid in me. Who doesn’t love crunchy fried chicken tenders? However, nowadays I try to keep things lighter. As much as I want to devour chicken tenders every single week, I simply can’t for the sake of my thighs. They have started to rebel against carbs and my beloved fried chicken. I have found ways to get the same flavor I adore in fried chicken but in a more health friendly way. I tried several different ways of oven frying in the past but some just don’t work for me. I’m not a fan of recreating the crunch with things like cereal flakes and the whole nine. Instead, I keep this oven fried chicken tenders recipe very similar to my fried chicken recipe using the same seasoned flour but instead, I spray the chicken down with non-stick olive oil or vegetable/canola oil spray and a couple tablespoons of oil. I also create some cool crumb action by doing something I learned from the Pioneer Woman. I add a drizzle of milk to my seasoned flour and then use a fork to create crumbs in the mixture. It is such a fantastic trick, and I LOVE the results. These chicken tenders are amazing, and I adore making them all the time. I even bake them in a cast iron skillet just to give me that ole school fried chicken feel. You won’t miss the hot oil at all after eating these. Note: this technique can be used with all chicken pieces to make all oven fried chicken. 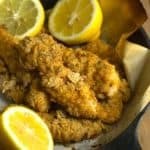 Oven Fried Chicken Tenders - crunchy, crispy and golden brown these oven fried chicken tenders are the best oven fried chicken because they taste just like fried chicken without all the extra fat!! In a medium sized bowl, whisk together eggs, hot sauce and worcestershire and set aside. Next add flour, seasoned salt, cornstarch, paprika, cayenne pepper, black pepper, garlic powder and onion powder to a paper bag and shake to mix well. 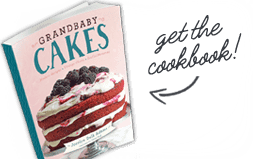 Drizzle milk into the flour and use a fork to mix it into the flour and create crumbs. Dip each chicken tender into flour mixture and then egg wash coating both sides then dip back into seasoned flour thoroughly coating each piece. Then add piece to baking sheet to rest. While coating sets, add parchment paper sheets to cast iron skillet or baking sheet and liberally spray with non stick cooking spray. Add floured chicken to parchment paper and liberally spray the tops of chicken tenders with non stick spray and drizzle the tops of chicken with tablespoons of vegetable oil. Bake for 20-25 minutes or until chicken is cooked throughout. Serve with lemon wedges and sprinkle lemon on chicken if you wish. Note: this technique can be used with all chicken pieces to make all oven fried chicken. 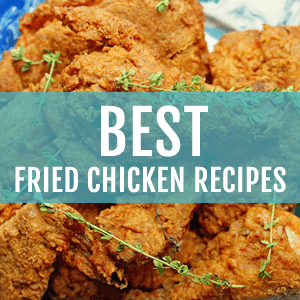 I’ve made a few recipes for oven fried chicken before and this one is tops! Enough flavor, but doesn’t overpower. I accidentally forgot to put one chicken tender in flour first and there was a definite difference. Good to know now! These chicken tenders are AMAZING! I knew as I was mixing the ingredients that the taste would be sublime because my mouth was watering from the aroma. The real confirmation is that my family loved them and said these are 5-star quality! These turned out great! I used this recipe for chicken and waffles…the combination was not a hit with the family, but they loved the chicken tenders by themselves. They were really easy and delcious. Thanks for sharing! So glad you enjoyed the chicken tenders!!! I have never left a comment for a recipe before but HAD to for this recipe! Oh. My. God. This is the best chicken I have ever had! Ever. I couldn’t believe I made them. Better than any restaurant fried chicken and I live in Atlanta, home of the best restaurants with the best fried chicken! My husband thanks you, my picky 7 year old daughter thanks you, and I thank you!!! I’m so so happy you enjoyed them Meghan!!!!! Made these today and they turned out great! Everyone loved them including my kids….who are VERY hard to please! Thank you! Hooray so happy to read this Fawn! Happy New Year! Oooh… fried chicken tenders are my favorite savory food! I’d love to try a healthier version. I think I’m going to make these with the sweet potato fries! Now that sounds like a plan. In fact, I wish I was having that dinner tonight! Chicken tenders are a childhood favorite so I cannot wait to sink my teeth into some now! Must make! That’s some good looking chicken! I can’t wait to make it! Jocelyn, these are some fantastic-looking tenders you have here! And I know they’re packed with flavor by the spices. Beautiful, beautiful work. These look amazing! I love fried chicken as well, but I need a healthy alternative to frying. Will definitely be trying this tonight! I’m curious…does the chicken get soggy from being baked in the cast iron pan? I want my chicken to come out crispy like it is in your pics. I’ve heard people complain about oven-fried chicken being soggy and not as crispy. I definitely don’t have a problem but I also use parchment paper underneath so you can also try that! This looks absolutely delightful! I have to try it! This is the best looking baked fried chicken I’ve ever seen. Pinning to try soon! Hooray thanks so much Krystle! I HAVE TO MAKE THESE! Girl-this so do not look like they’re baked! Amazing!!! Pinning! I’m so excited now. Nope these are totally baked. I promise! I love them too Cathy! I can’t believe they are fried! I’ll have to try them out on my family. Thanks hon! Yep totally oven fried. These chicken tenders look so good and crispy, it’s hard to believe they aren’t fried! Perfect! Yep Cate it seems like our thighs are kindred spirits. My my my oh I see you are keeping up with your new year’s resolution by posting savory foods. They look delicious, I love me some FRIED CHICKEN. 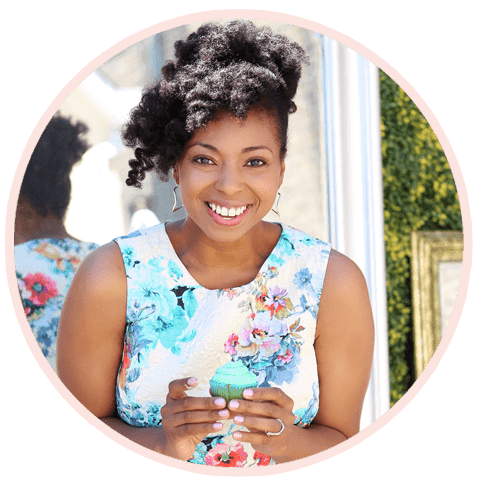 Hooray yep I am definitely sneaking more and more on the blog now. Oh my thighs thank you! 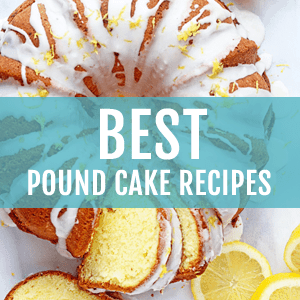 Such a great trick with the milk and flour too. I can’t believe I missed that one. Thanks for sharing! Yes that trick is sooo golden! These look delicious and I would agree so much better for your thighs! Thanks for sharing. Our thighs will thank us all Laura! Fried chicken = my weakness! If they taste and look fried…I’m loving it!!! Same here Artney! It is definitely my weakness as well. Oh my! I am dying over these oven baked chicken tenders!! They LOOK like they are fried!!! I never would have guessed that they are baked! Can’t wait to try. Thanks Renee! I love how they fool everyone! 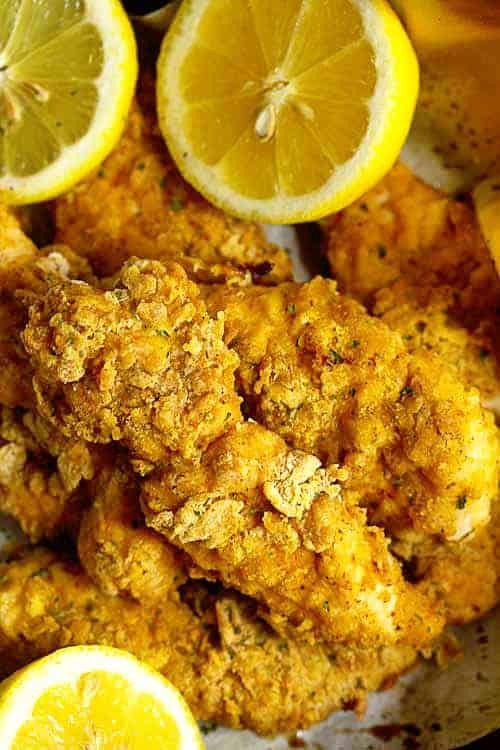 I love how food = memories 🙂 These oven fried chicken tenders look amazing…I can’t do the fried chicken thing either, for the same reason, and this looks like a great alternative. Love the tip with the milk in the flour, I will have to try it! Thanks Denise! Yep we all have our vices girl. These chicken tenders look awesome! I can’t believe they are oven-fried and I love all the seasonings you added. Thanks so much Christin!!! I love chicken tenders so this is definitely a better way to have them! I can understand your story. These look good. I haven’t been able to find a good recipe. Will try. That’s so smart girl. Yep we had fried chicken all the time! Girl, this is amazing!!! I love that it is baked!! Thanks boo! It is saving me right now from the evils of frying. I absolutely LOVE reading about your Southern roots!! So interesting and so comforting. And the recipes are, of course, BE.YOND!! Awww thanks my dear! Girl I love me some southern food haha. 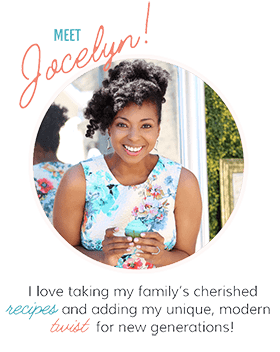 Jocelyn, I love this!! “Learning how to fry chicken around the same time I learned how to ride a bike is not only considered normal but proper.” I would expect nothing less from a Southern gal .. BUT I love that you baked these. . I love frying at home but hate the clean-up and sometimes the smell/odor that’s left!! Ha thank you my dear! And I totally get you about that clean up. It can be a beast especially with so much other work to do. Thanks so much Jess! The oven frying definitely allows you to splurge a bit more on a few more haha! Yep girl this definitely won my husband over! Thanks hon!